iGame Casino – Win a trip to New York! Play for a VIP trip to NY! Win a dream holiday and weekly cash prizes! 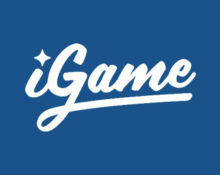 At iGame, they love to offer life-changing prizes and this is a competition that will make players say ‘Wow’. They’re giving all players the chance to win the trip of a lifetime to New York. How do you like the sound of four nights in a Manhattan hotel, vodka and caviar tasting for two, a helicopter tour of the city and tickets to an ice hockey game? Then start earning tickets to the prize draw today. But that’s not all, they will also raffle off €1,000 every week of the campaign. Tesla Model S Raffle – Exclusive for players from Finland, Norway and Sweden. Get ready to drive the futuristic Tesla Model S 75 kWh, one of the first mainstream cars powered by clean energy, no fossil fuels needed. Earn one ticket to the raffle for every € 10 deposited during the promotional period, running until 31st January 2018. Raffle ticket balance will be updated once a week and the participants will receive on Tuesdays a weekly email with the updated ticket amount. Amount of tickets per player is not limited. It’s easy to be in with a chance of winning. Every €10 you deposit at iGame Casino with the code APPLE, will earn one raffle ticket for the big draw on the 20th November 2017. And as part of the New York competition, they’re also giving you the chance to share a €1,000 prize pool in raffles every Monday. So, if you want to taste the American dream, start collecting your tickets now. Any raffle tickets you claim will also be valid for the Tesla Model S raffle. 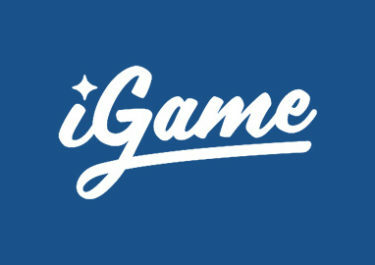 On 20th November 2017, iGame will randomly draw one winning ticket from all eligible entries. The prize includes return flights from a major European, 4 nights hotel stay in a 4-star hotel in Manhattan, Vodka and caviar tasting, The Big Apple NYC Helicopter Tour and tickets to an Ice Hockey game. Additionally to the Grand Prize, iGame will raffle off €1,000 every week of the campaign among players who earned minimum one ticket to the grand prize draw. Prizes are 1x €400, 1x €250, 1x €200, 1x €100, 1x €50. These will be credited on 8th, 15th and 22nd November 2017 with a 1x wagering requirement. Bonus terms apply.